Sea Sydney Harbour "on a boat"
VIVID SYDNEY IS BACK ! WHY CHOOSE SEA SYDNEY HARBOUR? 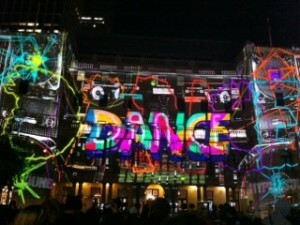 Vivid Sydney is a spectacular array of light, music and ideas. The festival is an annual event and there is always something new and fun to explore. If you’re a lover of art, music, live performances or just a fan of Sydney in general, you will love the Vivid Sydney festival! Captain Frank sure does! 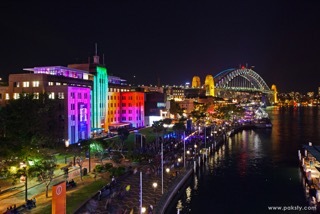 Falling in love with Vivid Sydney is not a hard thing to do. Here are some of Captain Frank’s top reasons why he enjoys the Vivid Sydney Festival each year. You could go every year and still be amazed at the spectacular display. It is always different. The festival makes Sydney feel alive and fun, and despite the pre-winter evening chill thousands of people flock to the big city. At no other time of the year does Sydney look so beautiful! The city comes together inspired by creativity, ideas, lights and fun. The atmosphere across the city is absolutely amazing!!! 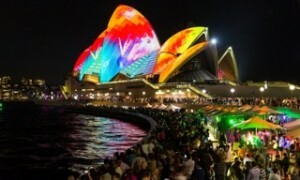 This year take up a prime location and see Vivid Sydney from aboard a cruise on Sydney Harbour. Considering the popularity and love of the festival, there is no doubt that the crowds on land will be large with festival crowds expected to grow. What better position to view the city light display then aboard a cruise on Sydney Harbour!